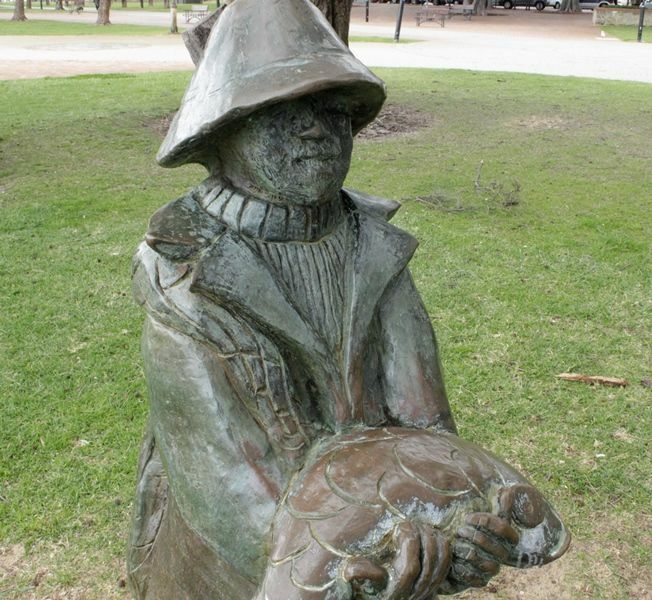 The sculpture commemorates the pioneers of the Mandurah Fishing Industry and the Peel Inlet Preserving Works. In September 1880, the first tins of fish were canned by C. Tuckey & Co's Peel Inlet Preserving Works. The first fish canned were sea mullet caught by sieve nets in large quantites in the estuary along the coast. Fishermen were paid seven to eight shillings for each 100 fish delived to the cannery.